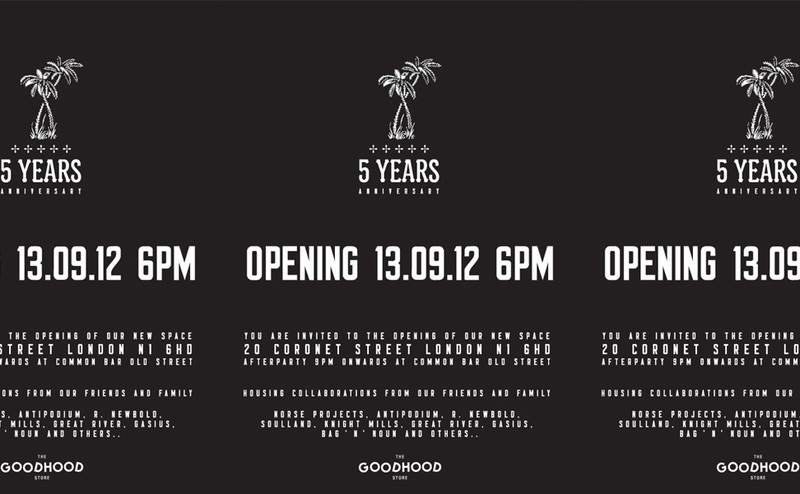 On the 13th September 2012 The Goodhood Store will be 5 years old! To celebrate theyare opening a new store at 20 Coronet Street. The store will be full of collaborations and special products with some of their close friends including the folk at Norse Projects, Antipodium, Soulland, R.Newbold, Bag ‘N’ Noun Japan, Dog State, Great River, Knight Mills and Gasius. 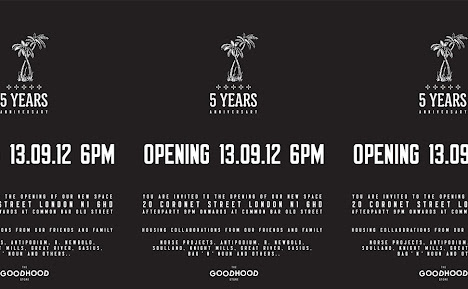 For the first time there will be a collection of limited edition Goodhood Products housed in a unique concept space – from T-Shirts, umbrellas, stickers, badges, cushions and other homewear. The launch kicks off at 6pm till 9pm with an after party from 9pm (2:30am close) at Common Bar (30 seconds walk away on Old Street). They have asked a bunch of mates to come down and play choice party selections so please join them to celebrate 5 years of independence and many more to come. Join the facebook page here. All welcome.